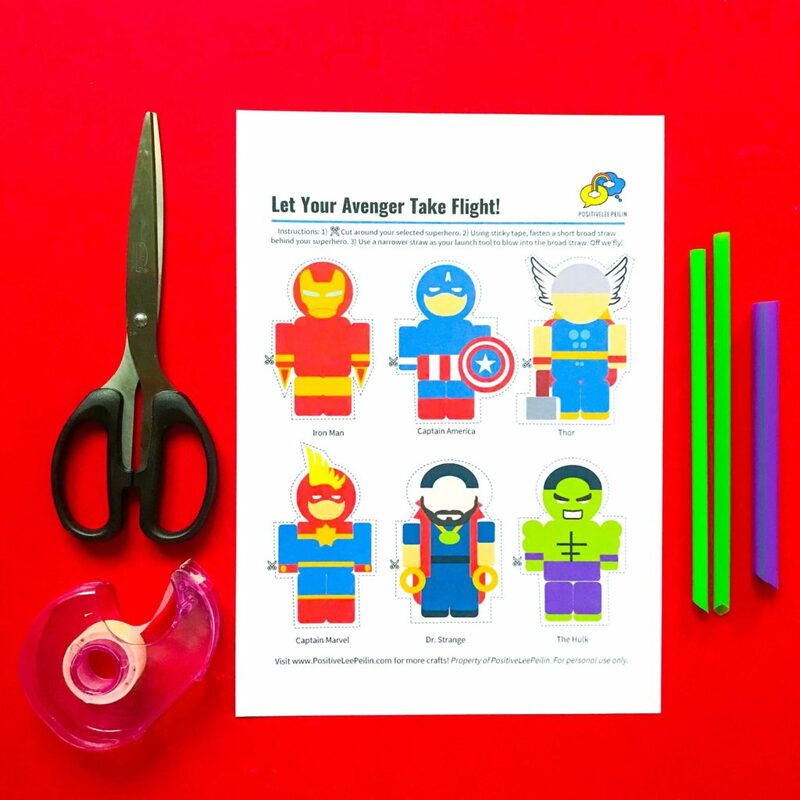 Avengers DIY Craft: Higher, Further, Faster! 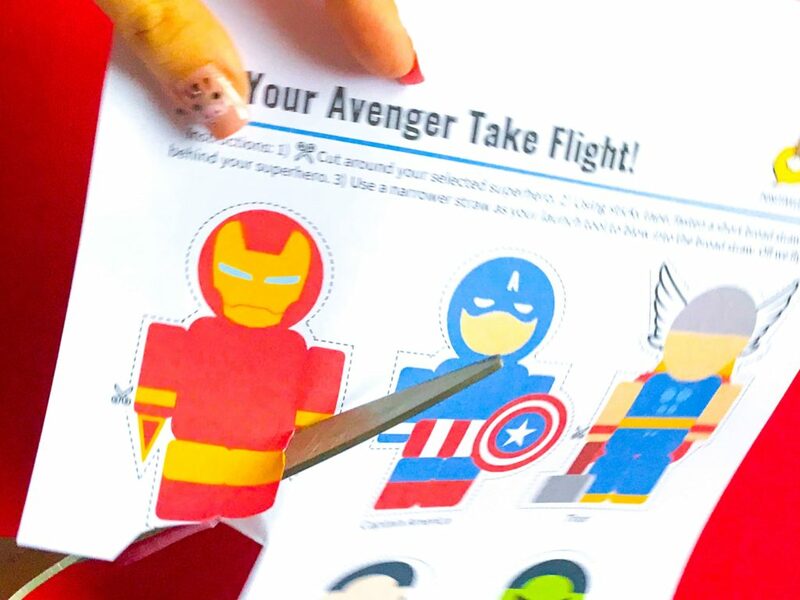 Make your Avengers DIY craft out of simple at-home materials and watch them flyyyy! 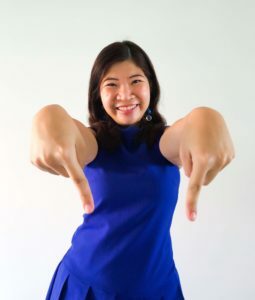 Who else is excited about watching Captain Marvel or Avengers? ME TOO! 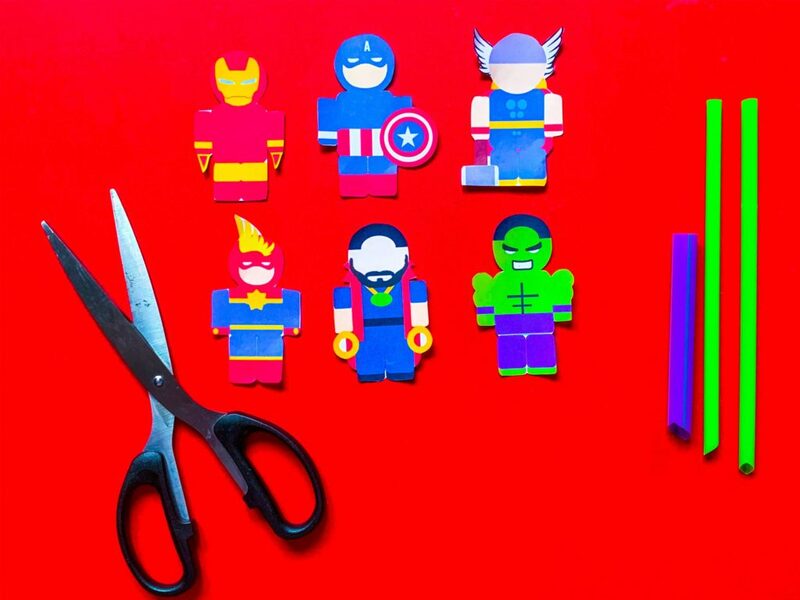 To curb the anticipation, we’ve made our own Avengers DIY craft! There are blockbuster superhero action movies this year (Captain Marvel, Avengers: End Game, Spiderman: Far from Home and Shazam), I couldn’t decide which hero to make, so I’ve made a bunch of them! 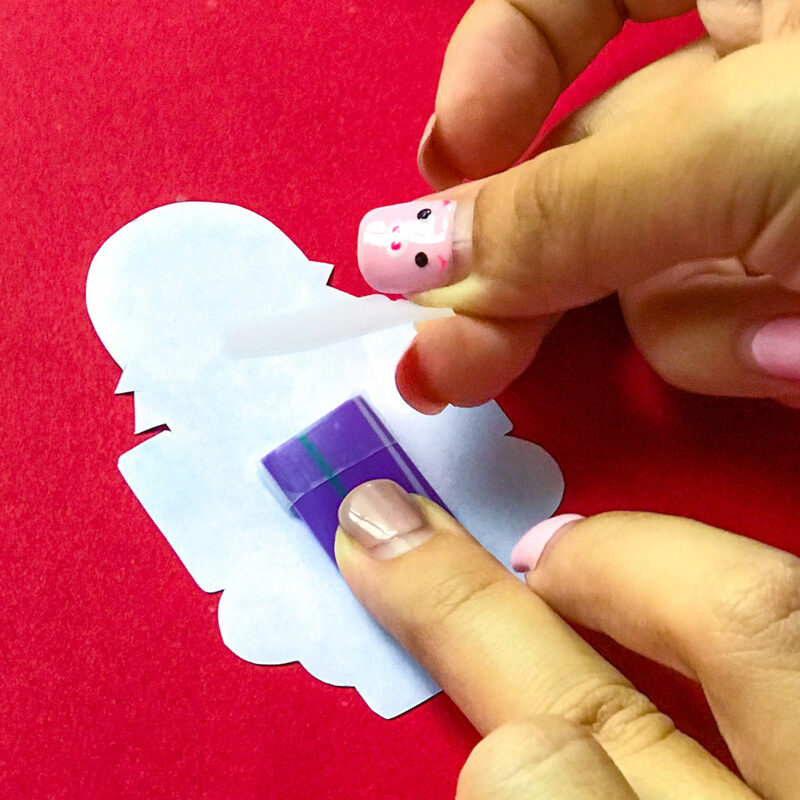 This Avengers DIY craft is soooo easy and yet so much fun to play with! 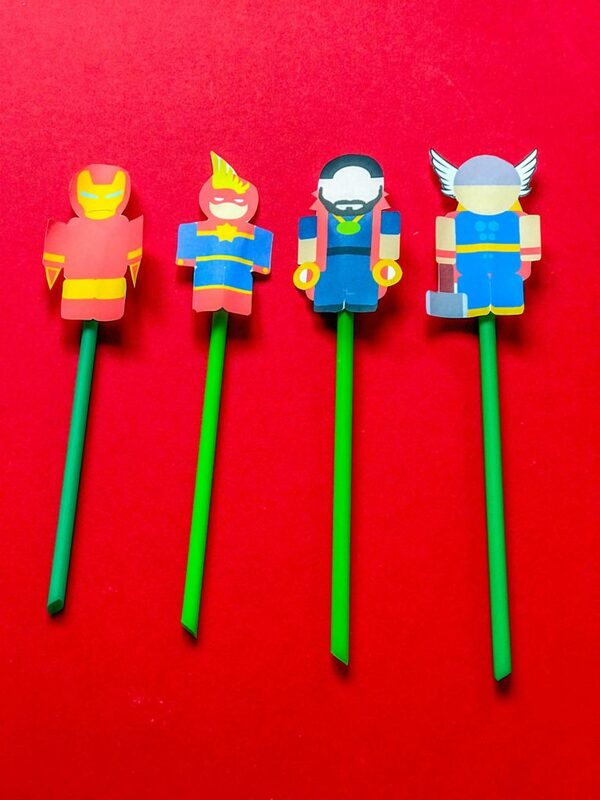 Make a few of these, so you can see which superhero flies the furthest, fastest and highest! 1. 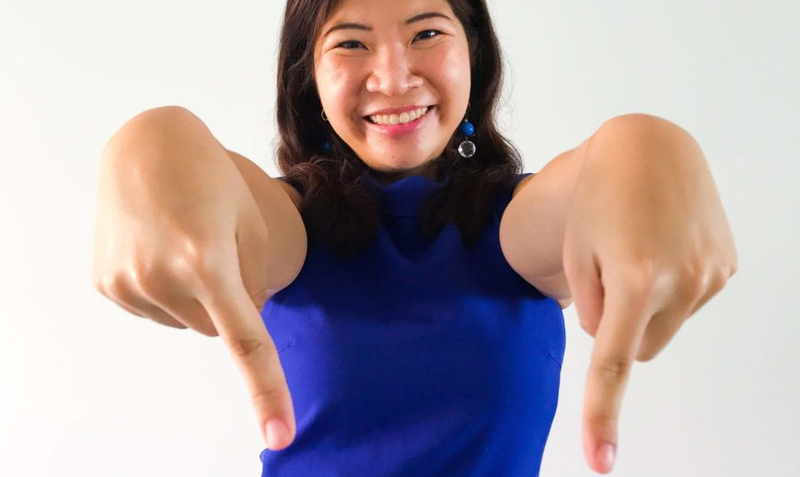 Download the free PositiveLeePeilin Avengers printable here. 3. Cut out your superheroes. 4. Cut a length of the large straw about ⅓ length of the superhero. 5. Press down and flatten one end of this. 6. Use tape to seal this flattened end. Make sure it’s sealed tight. 7. 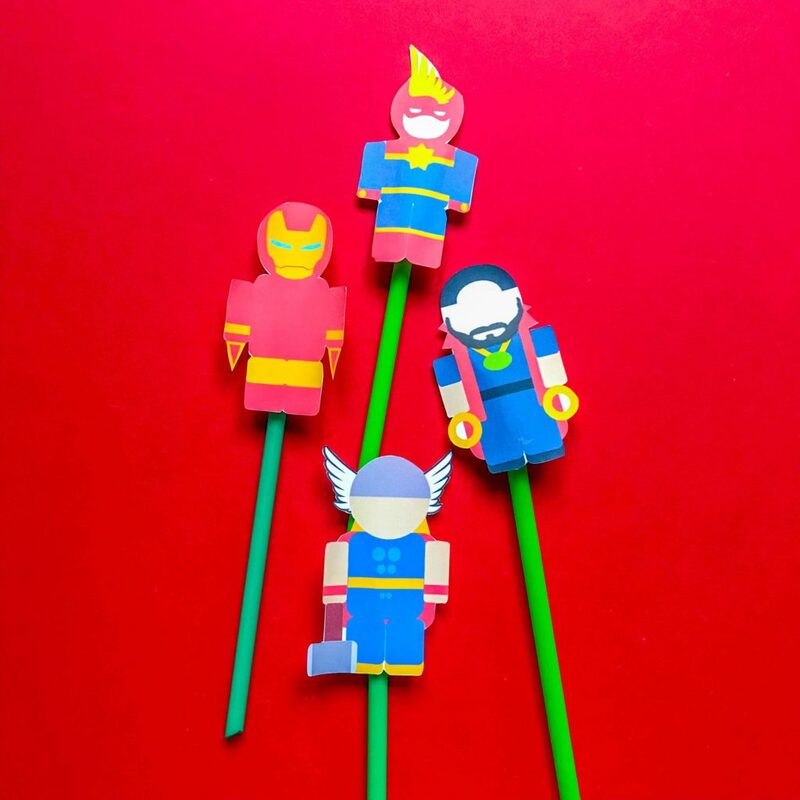 Stick the bubble tea straw to the back of the superhero around the middle and with the flattened sealed end pointed towards the superhero’s head. 8. 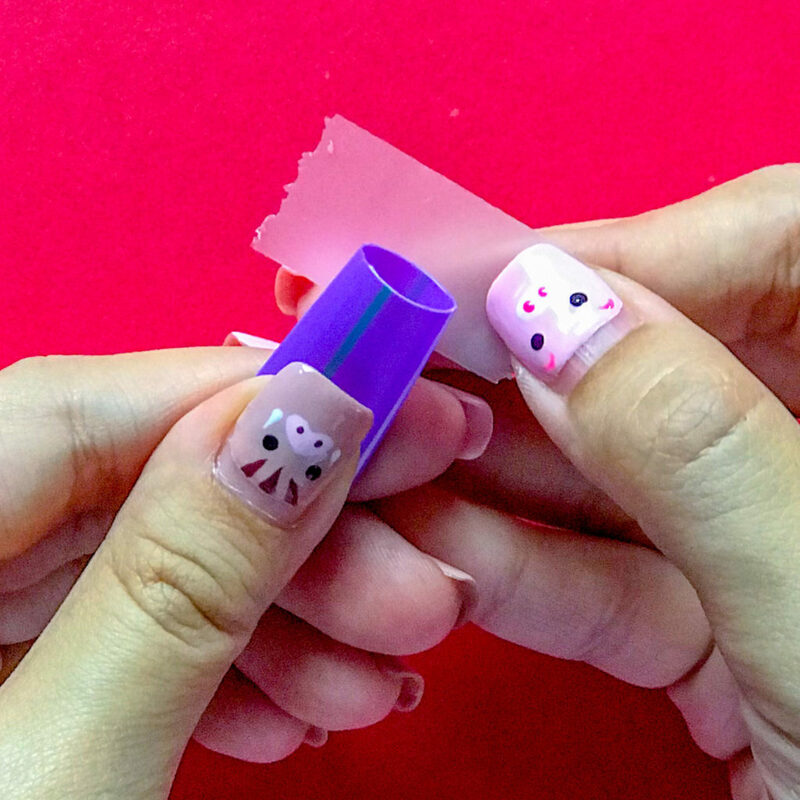 Put one end of the smaller straw into the open end of the large straw that’s been pasted on the back/underside of your superhero. 9. Take a deep breath and give it a blow. Watch your Avenger fly! 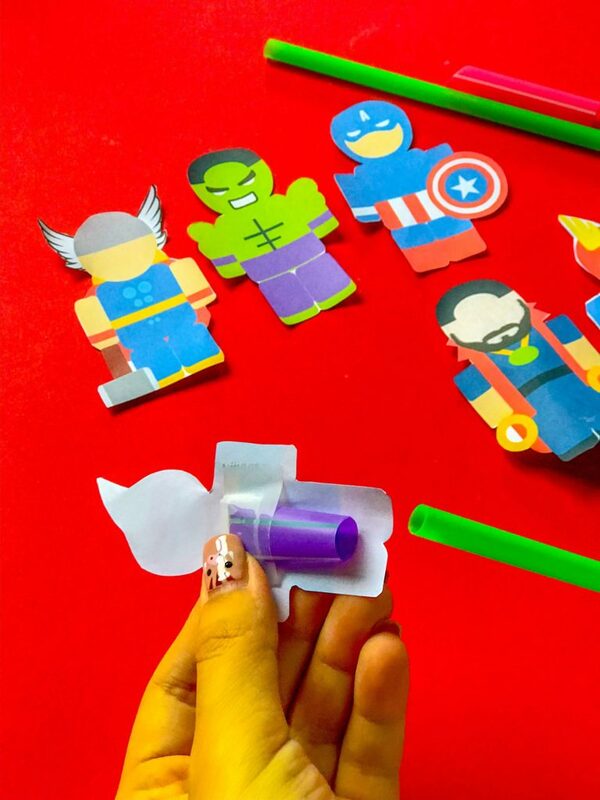 We love to see your own Avengers DIY craft! Tag us at @PositiveLeePeilin on Facebook or Instagram or use the hashtag #PositiveLeePeilinDIY. Bonus: You can supplement this craft with books about superheroes! Click here for our list of our Top 3 Favourite Books about Superheroes!